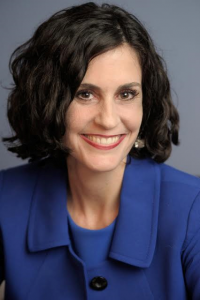 Emily J. Orlando is Professor of English and the E. Gerald Corrigan Chair of Humanities at Fairfield University. She is the author of Edith Wharton and the Visual Arts (Choice Outstanding Academic Title) as well as articles published in the following peer-reviewed journals and essay collections: American Literary Realism (1870-1910); Twentieth-Century Literature; Women’s Studies: An Inter-disciplinary Journal; Victoriographies: A Journal of Nineteenth-Century Writing, 1790-1914; Studies in American Naturalism; New Voices on the Harlem Renaissance: Essays on Race, Gender and Literary Discourse; Memorial Boxes and Guarded Interiors: Edith Wharton and Material Culture; Edith Wharton’s The Custom of the Country: A Reassessment; and Edith Wharton in Context. Edith Wharton and Cosmopolitanism, an essay collection co-edited with Meredith L. Goldsmith, was published by the University Press of Florida (2016). Orlando is currently editing Volume 6 of The Complete Works of Edith Wharton: Writings on Architecture, Design, and Gardens for Oxford University Press. Orlando served from 2013 to 2016 as Book Review Editor for the Edith Wharton Review. From 2015 to 2017 Orlando was President of the international Edith Wharton Society. Prior to that, she served two consecutive years as Vice President and, before that, a two-year term as Secretary of the Edith Wharton Society. She co-directed “Edith Wharton in Florence,” the 2012 conference of the Edith Wharton Society. Orlando is Immediate Past President of the Wharton Society and currently serves on the Editorial Board of the Edith Wharton Review. From Fall 2013 through Spring 2017 she served as Director or Co-Director of the Women, Gender & Sexuality Studies Program at Fairfield University and is currently serving on a subcommittee to develop a major in WGSS. She currently serves as Internship Director for Fairfield University’s English Department. Dr. Orlando earned her B.A. at Saint Anselm College and her Ph.D. at the University of Maryland. From 2002 to 2007 she taught as an Assistant Professor of English at Tennessee State University. At Fairfield University, Orlando teaches courses in American realism and naturalism, Victorian literature and culture, women’s/gender studies, Edith Wharton and her circle, and the first-year writing sequence. 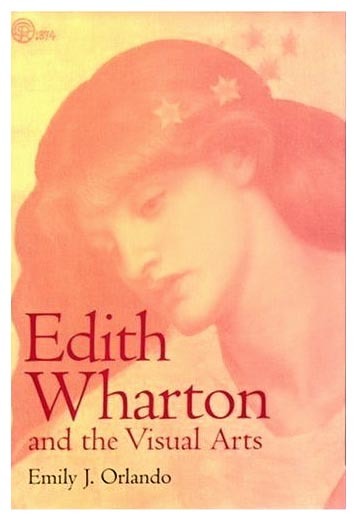 As part of the January 2014 celebration of Edith Wharton’s birthday, Orlando gave a talk at The Mount (Wharton’s Lenox, Massachusetts home) titled “Fifty Shades of Lily: Wharton, Art, and Popular Culture.” More recently she was cited in a 2016 Wall Street Journal article on a Rhinebeck mansion commissioned by Edith Wharton’s aunt (https://www.wsj.com/articles/faded-mansion-evokes-opulence-of-a-bygone-age-1473895594.) She lives in Connecticut with her husband and their beagles.